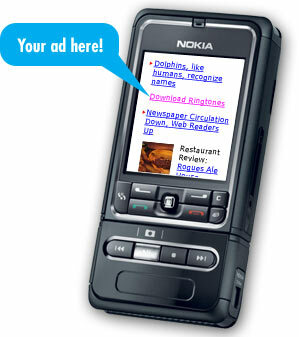 For various reasons mobile advertising doesn’t scale. Mobile advertising does scale for the platform, just not the advertiser. If you think otherwise, please elaborate. This entry was posted on February 28, 2011 at 5:38 pm and is filed under Mobile Advertising Doesn't Scale. You can follow any responses to this entry through the RSS 2.0 feed. You can leave a response, or trackback from your own site.